6 Ready to book a South America vacation? Over the past few years, Latin America has seen a boost in international visitors that is not expected to slow down any time soon. The World Tourism Organization has predicted that by the year 2027, Latin America will receive more than 78 million tourists. The more you learn about places to visit in South America, the easier it is to understand why it is becoming such a popular tourist destination. From the food to the weather to the cultural destinations, there is so much to see and do. If you’re looking for a spot for your next family vacation or friend getaway, you should learn more about the best places in South America. Below, we’re sharing five countries to consider for your South America vacation. Read on to learn more. Chile is one of the best countries to visit in South America because there are so many things to do and so many different climates to explore. Just within Chile, you can see everything from glaciers to mountains to deserts to tropic islands to urban cities. If you’re looking for a more adventurous vacation, then hiking in Patagonia should be at the top of your list. The Old City in Santiago is also worth visiting if you want a more urban environment to explore. Colombia has a rich and somewhat notorious history, which makes it one of the best places in South America for anyone who wants to learn more about a story they thought they knew. In addition to its global reputation, Colombia also has a lot of hidden treasures. The churches in Colombia are especially worth taking a trip for. There are so many breathtaking sites, including the Las Lajas Sanctuary, which was built in the middle of a Colombian canyon. When you’re in the need of a beach vacation, Uruguay is one of the best places to visit in South America to get your seaside fix. There is also a popular art scene in Uruguay, so you can strike the perfect balance of seaside relaxation and cultural exploration. For people wondering where to visit in South America, you should know that you can’t go wrong with Argentina. Argentina has something for everyone, from tranquil waterfalls to urban cities to a robust wine country. Booking Argentina travel packages for your trip is the best way to make sure you see it all! If you need a spot for your next group getaway with your friends, Brazil is it. 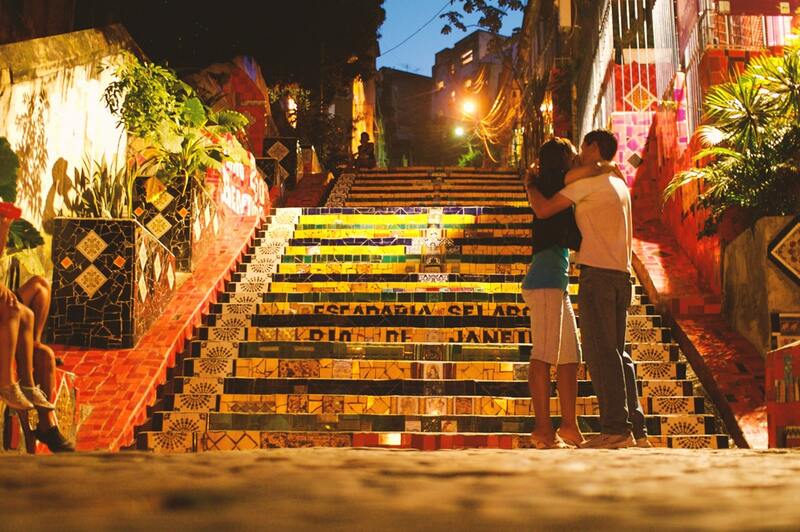 It’s one of the best places in South America to get a feel for the culture and the energy of a place. There is so much to see, do, and experience. No one on your trip will complain about being bored. Ready to book a South America vacation? The next time you need a getaway, you should look into a South America vacation. No matter what country you go to or what kind of trip you want, South America has something that you’ll love. It’s the perfect destination for an unforgettable experience. For more bucket list destinations, please browse the blog.